Department of Neurosurgery was established in 1995 by the posting of Dr. Altaf Hussain as District Neuro Surgeon who served as head of department from 1995 to February 2006. The Neurosurgical department of Sheikh Zayed Medical College Rahim Yar Khan is a fully equipped, modern Neurosurgical Unit having all the essential facilities. The department has 42 beds in neurosurgical ward, 07 beds in neurosurgical ICU, and separate emergency and elective operation theaters. The team is dedicated, efficient and hard working and provides 24×7 neurosurgical emergency cover to whole region including patients of districts Rahim Yar Khan, Rajan Pur, Rujhan, Baluchistan, and interior Sindh. 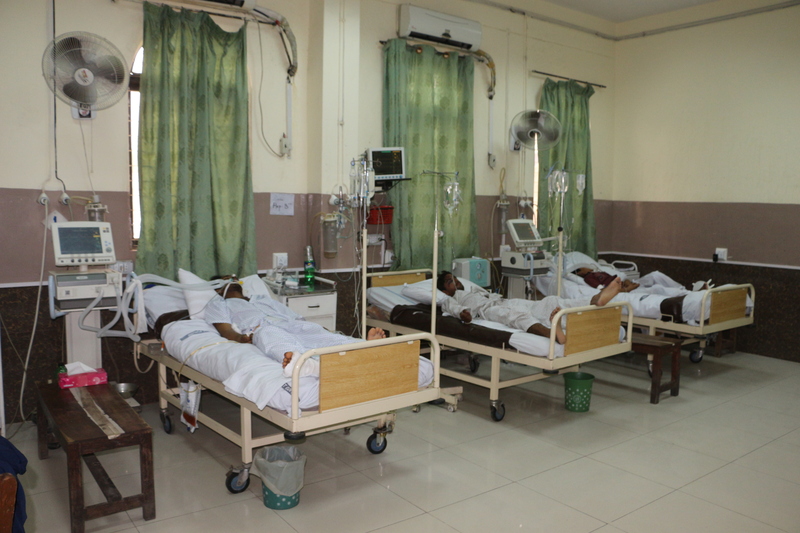 The department provide all kinds of neurosurgical emergency facilities for patient suffering from severe head injury, acute hydrocephalus, intracerebral hemorrhage, etc… No emergency patient is being referred to other centers. In recent past following facilities has been newly established / upgraded. Round the clock availability of neurosurgical team in emergency department. Five (5) beds for neurosurgical bay in emergency for severe head injury patients equipped with monitors and ventilators with trained nursing staff. Seven (7) beds are dedicated and separated for neurosurgical ICU, fully equipped with monitors and ventilators with trained nursing staff and Intensivist. Seven (7) beds are separated for high dependency bay in neurosurgery ward with availability of central oxygen and suction facility at each bed with vitals monitors. Five (5) beds are separated for paediatric neurosurgery bay with central oxygen and suction facilities at 3 beds. Neurosurgical ward became fully air conditioned for all patients in summer 2016. Two (2) beds in spinal room for spinal injury patients. Dedicated class room with fully functional multimedia facilities for lectures and presentations of under graduates and post graduates students. Upgraded ward library loaded with neurosurgical books, Atlas and Journals. iv. Trans sphenoidal Pituitary adenoma excision. iv. Anterior and posterior cervical fusion fixations.